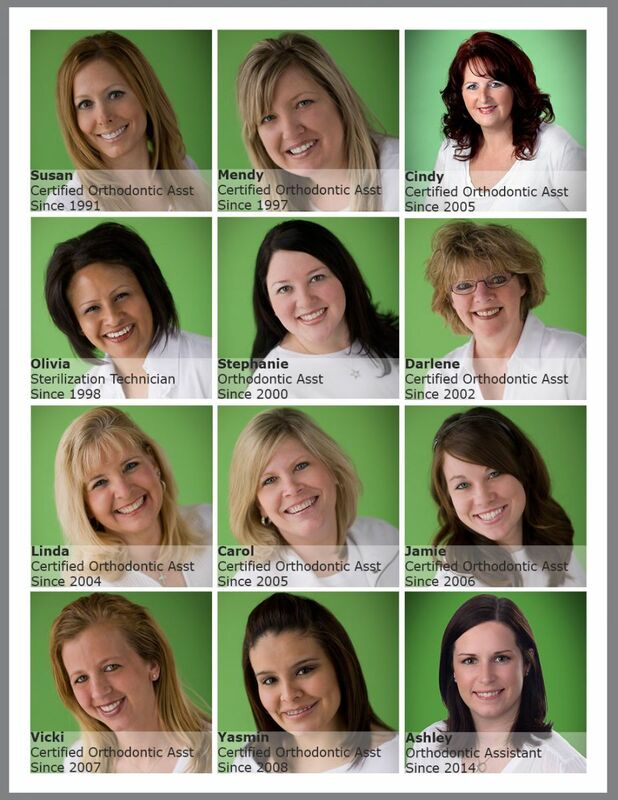 Our clinical staff has more than 160 years of combined experience with patients! Did you know that Drs. Koufos and Albright believe in the best of education and clinical staff training? That is why the majority of our staff are called “certified” technicians. Although this is not a requirement in the industry, it is an extra for us! Our doctors’ philosophy is: “the best-trained staff gives us the best experience and results for our patients.” We promise to provide you with the best of care! 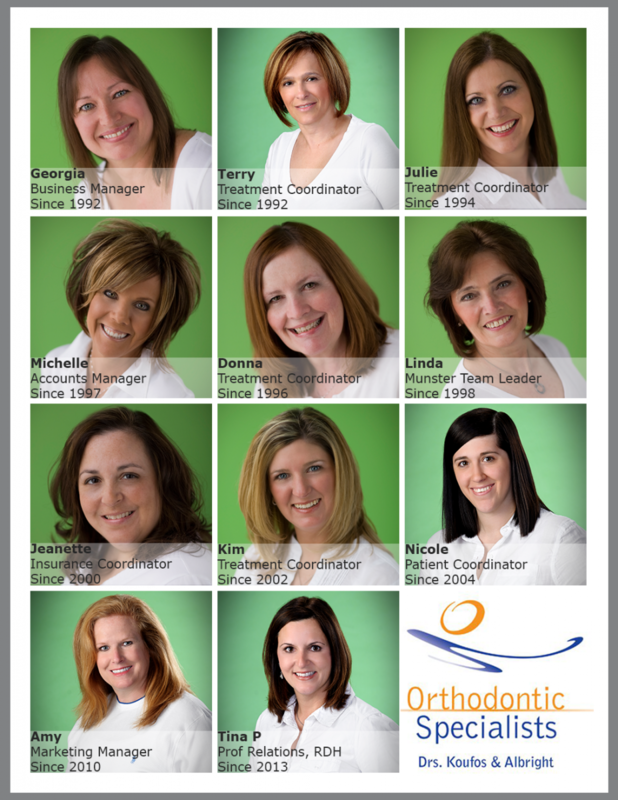 Our business staff has more than 165 years of combined experience with families! Drs. Koufos and Albright want their patients to have the ultimate in customer-care experiences. Our business staff works continuously to maintain a level of exceptional service at our Munster and St. John offices. Please feel free to provide feedback to our team leaders and doctors using a patient feedback card. We strive to earn five-star reviews! We love our peeps (you) and so that’s why we love–love to spoil our patients with fun contests and give-aways! Follow Us on the “gram” or better known as Instagram or FaceBook. We try our best to have amazing giveaways with our “March Gladness”- “Father’s Town Baseball Classic” “Mom’s Mix It Up” - “Summer Smiles” and Special Concerts – such as T Swift, One D and many more! #weloveourpatients!